A person with a social security number who has worked for quite some time and has been diligent in paying his social security taxes is eligible for Disability Forms benefits, in case he or his family members meets with an accident and is rendered disabled. In such a scenario, the government department responsible for this, expects the person or his family members to fill a social security disability form with all the necessary details. 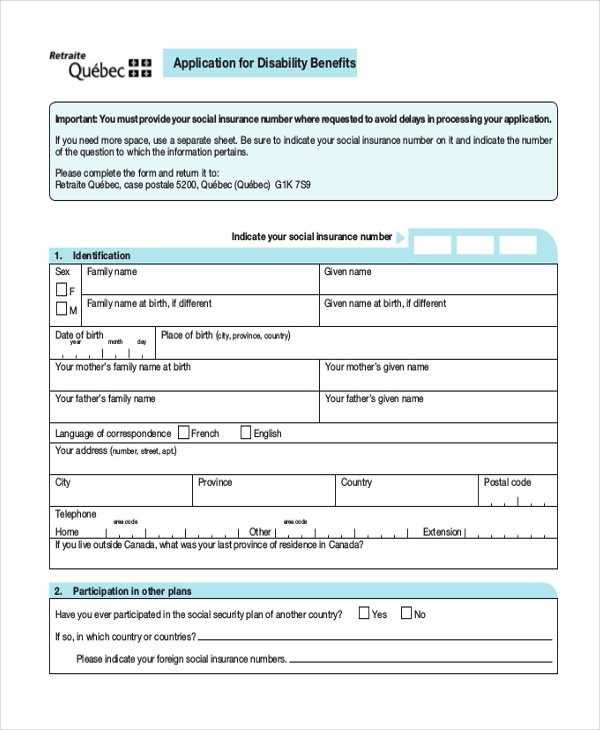 A person suffering from a temporary disability due to an accident can avail the social security benefits offered by the state by filling in this form and submitting it to the concerned department. When a disabled person intends to avail the various benefits that the state may be providing the disabled, he can fill in this disability application form and submit it with the concerned department to apply for these benefits. 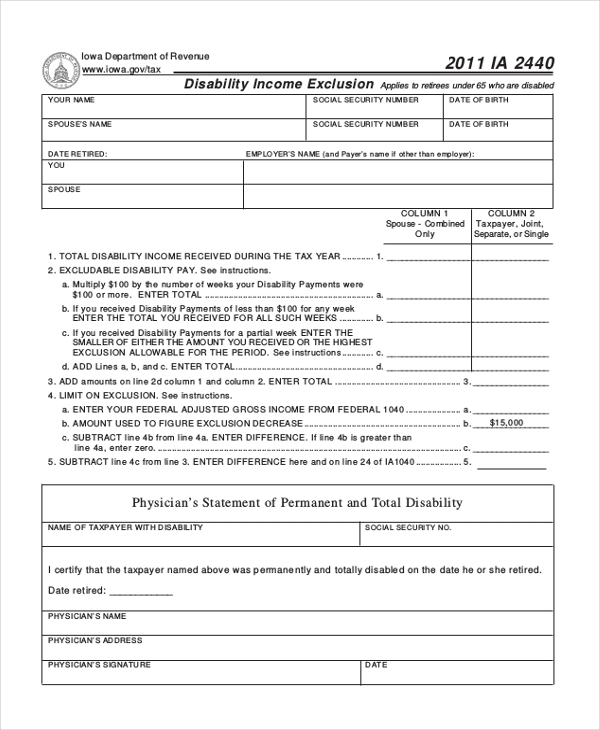 This form is used by the taxation department to allow a disabled person to avail the exemption against the social security tax. The person is required to fill in the form with all the relevant details. 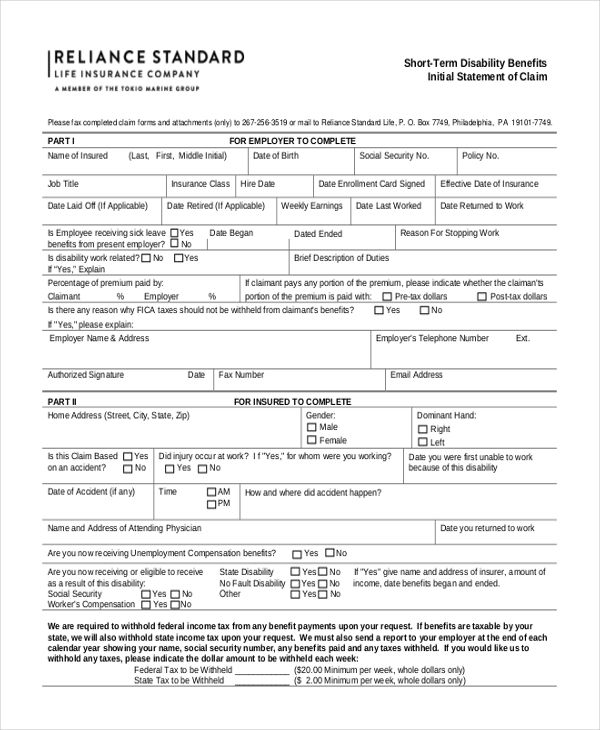 Business organizations use this form to enable their employees to avail certain social security benefits which they may need due to a sudden disability. The person is required to give his details as well as the medical documents as proof. 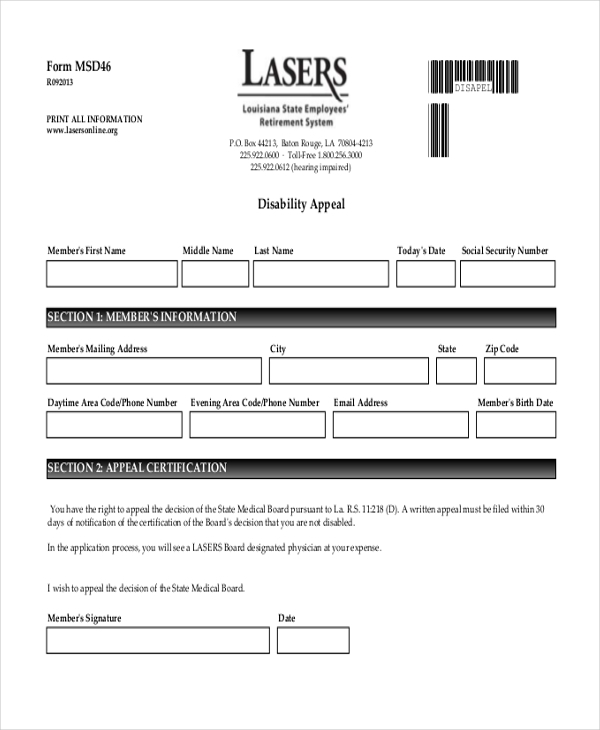 As the name indicates, this form is used by a disabled person to make an appeal with the government agencies to provide him with certain social security benefits, citing his disability. 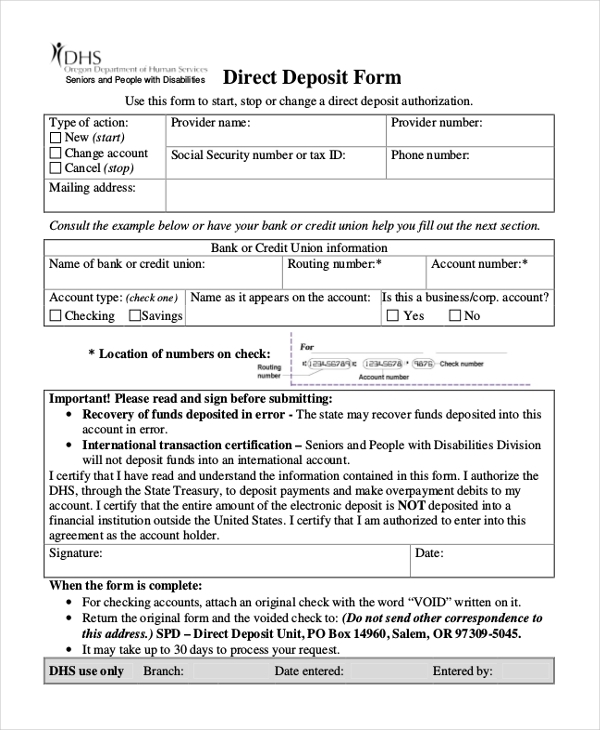 When a disabled person intends to avail the cash benefits that the government offers, he is required to fill in this form with his personal and bank details and then submit it to the bank. 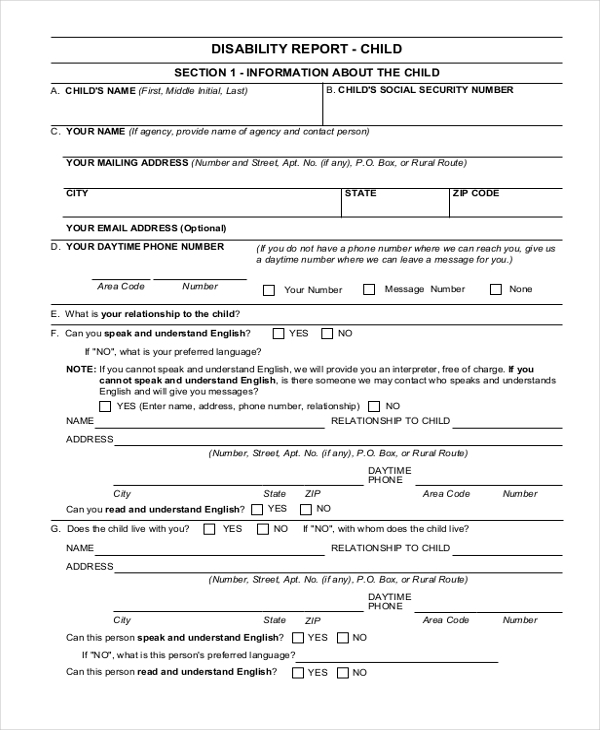 In order to avail the various social security disability benefits for a child, the parents are asked to fill this form by the department that is responsible for handling such issues. 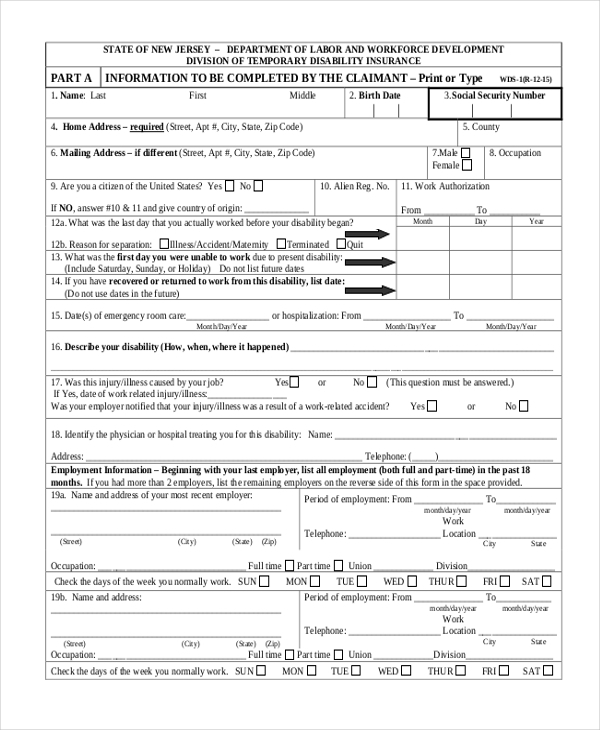 A person suffering from a short term disability can use this form to request the government to offer him the benefits that it offers in such cases. What are the Benefits of Using Social Security Disability Forms? Why should one Use a Social Security Disability Form? The government department receives a number of requests in a day. In fact, this can be quite overwhelming and the government can often lose track of certain requests, thus causing a delay. However, since a person suffering from a disability should be offered the benefits in time, using a social security disability form would ensure that the government realizes the gravity of the situation and ensures that it is not delayed. 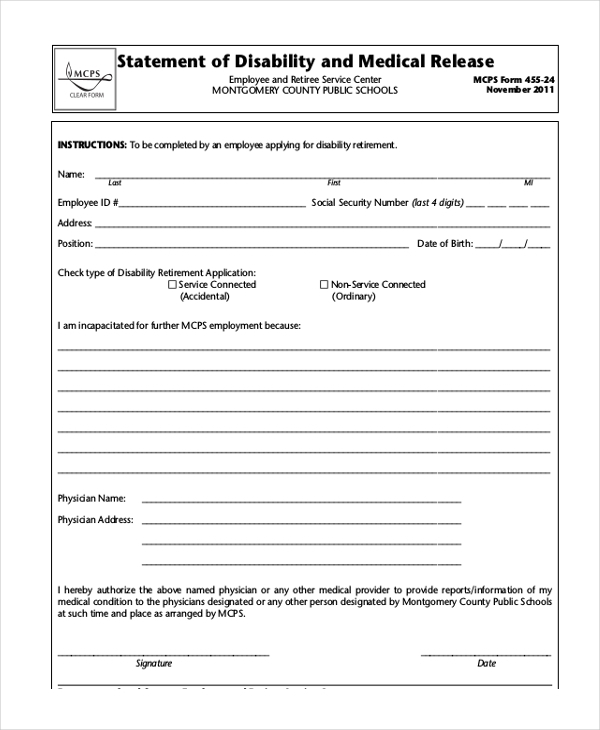 You may also see Disability Parking Forms. In case you are not sure how to design a social security disability form, there is no need to worry. You can easily find the perfect form in our vast collection. Easy to download and customize, these forms will save you a lot of time and effort. You can also see Disability Application Forms.